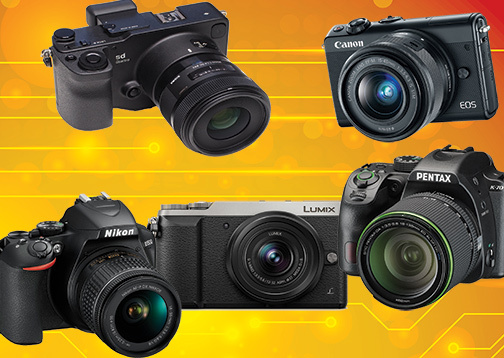 Traditionally, the term “entry-level cameras” was used to describe stripped-down models built to a price point. However, that definition no longer applies. That’s because today’s casual shooters, most moving up from smartphones to “real cameras,” are more focused on enhancing their creative potential than in richer feature sets at bargain prices. These emerging enthusiasts, who are in the process of expanding their engagement with photography, represent a demographic sweet spot for retailers. They’re highly motivated to acquire additional lenses, more advanced high-ticket cameras and a variety of accessories going forward. The most effective strategy in establishing long-term relationships with this key demographic is to get to know them, understand their priorities and become a purveyor of expert advice as well as imaging equipment and services. A great place to start is by perusing our selected list of entry-level ILCs, all of which deliver outstanding image quality and advanced feature sets. They are all aimed at satisfying the very folks who are likely to become your best customers. 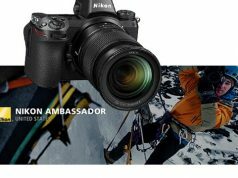 Just unveiled, Nikon’s compact, lightweight digital SLR is a broad-spectrum camera that provides a satisfying level of performance and features in an unintimidating, high-value package. 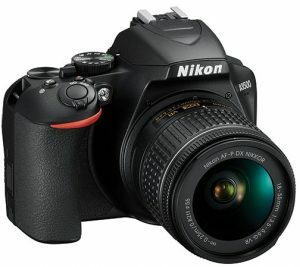 The D3500 incorporates a 24.2 megapixel APS-C-size (DX-format) sensor. It is coupled to an Expeed 4 image processor to deliver high-resolution images. More over, it omits the traditional low-pass filter to enhance resolution for crisp imaging. The D3500 records Full HD 1080p video at 60/50/30/25/24 frames per sec (fps), as well as achieves a full-res burst rate of 5 fps. It also offers enhanced low-light performance at sensitivity settings from ISO 100 to 25,600. Other key features include: a Multi-Cam 11-point autofocus (AF) system; a 3-inch, 921K-dot LCD monitor; auto-selectable scene modes for newbies; a handy guide mode with on-screen guidance; and special effects settings. To facilitate easy transfer and sharing, SnapBridge offers Wi-Fi and always-on Bluetooth connectivity. With an AF-P DX Nikkor 18–55mm f/3.5–5.6G VR lens, $499.95. Canon upgraded its elegantly petite entry-level DSLR by adding many of the key features found on its higher-level broad-spectrum models. These include a 24.2MP APS-C-format CMOS image sensor that’s paired with an advanced Digic 7 image processor. The SL2 delivers Full HD video capture with continuous AF at 60 fps, a full-res, 5-fps continuous burst rate and a 0.03-sec AF speed. Its native ISO settings of up to 25,600 are expandable from 100 to 51,200. The DSLR also provides scene intelligent auto mode. In addition, its 3-inch, 1.04M-dot, vari-angle, touch-screen LCD displays a feature assistant guide for selecting and seeing the results of switching modes and settings. Moreover, it has a 9-point phase-detection AF system with Dual Pixel CMOS AF technology for enhanced speed and performance. Other features include: a mic input; an eye-level, 95%-coverage optical viewfinder; and built-in Wi-Fi connectivity with NFC as well as Bluetooth. The SL2’s body, which comes in white or black, measures only 4.8×3.7×2.8 inches and weighs a mere 14.3 ounces! 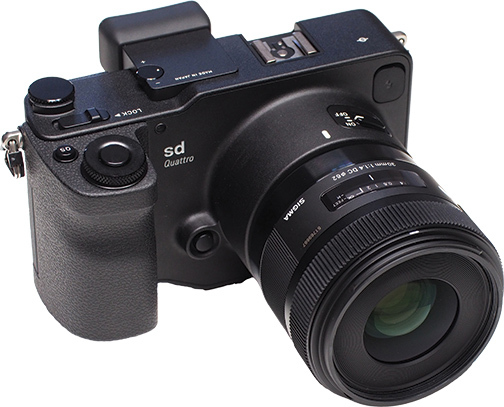 With EF-S 18–55mm f/4–5.6 IS STM lens, $699.99. 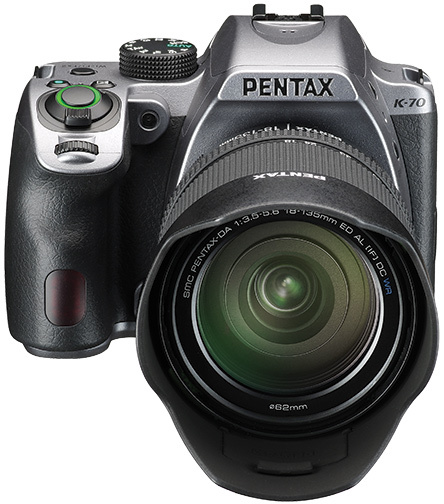 This ergonomically contoured compact Pentax DSLR delivers imaging performance and features on a par with upper-tier models, and at an attractive price. 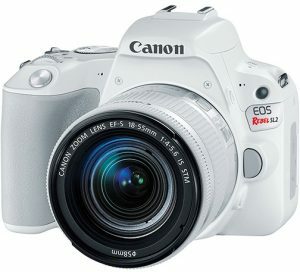 It employs an upgraded 24.2MP APS-C-format, AA filterless CMOS sensor as well as a Prime MII image-processing engine. It is optimized for Full HD 1080i video at up to 60 fps with continuous autofocus. In addition camera is capable of 4K interval recording and a full-res burst rate of 6 fps. It also provides a selectable antialiasing filter simulator. Moreover, its ISO settings range from ISO 100 to 204,800. Other features include: an advanced SAFOX X 11-point AF system with 9 cross sensors; a 3-inch, 921K-dot, vari-angle LCD with a night vision feature; a bright 100%-view optical pentaprism viewfinder; and in-camera sensor-shift shake reduction with Pixel Shift and Diffraction Correction technology. In addition, it offers built-in Wi-Fi connectivity, plus GPS with an optional module. It’s all built into a robust, weather-sealed body that comes in black or silver. 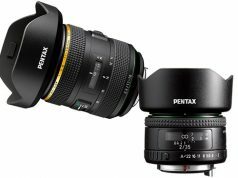 With Pentax DA 18–135mm f/3.5–5.6 ED AL (IF) DC WR lens, $799.95. 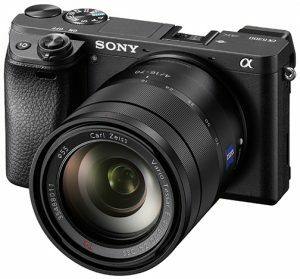 Like its big brother—the full-frame pro-aimed Alpha α99 II—this attractive entry-level model from Sony has a fixed translucent mirror and a high-res electronic viewfinder (EVF). That’s in lieu of the traditional DSLR’s flipping mirror and optical viewfinder. As a result, Sony calls it a DSLT. The α68 incorporates a 24.2MP APS-C-format Exmor CMOS sensor married to an advanced Bionz X image processor. They enable a full-res burst rate of 8 fps, a sensitivity range of ISO 100–25,600 and Full HD 1080p video capture at 30/24 fps in XAVC S format with continuous AF. The DSLT also features a 79-point phase-detection AF system with 15 cross points; a 1,200-zone evaluative metering system; and SteadyShot Inside image stabilization. Its 0.39-inch, 1.44M-dot OLED Tru-Finder EVF is complemented by a 2.7-inch, 461K-dot, tilting LCD monitor. Special features include: eye AF subject tracking; AF in EV -2; auto object framing; multi-frame NR compositing; and a dynamic range optimizer (DRO). Its Translucent Mirror technology enables full-time AF before, during and after the exposure, which is especially important when shooting HD movies or high-speed action. 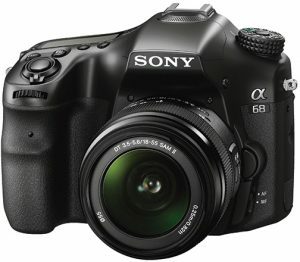 With DT 18–55mm f/3.5–5.6 SAM II lens, $699.99. The Panasonic Lumix GX85 has the look and feel of a classic rangefinder 35mm model, but it’s an advanced Micro Four Thirds-format mirrorless camera. Its 16MP Live MOS sensor works with an advanced Venus engine processor. Together they achieve 4K UHD video capture at 30/24 fps and a 10-fps full-res burst rate with single-shot AF (6 fps with continuous AF). There is also an 8MP still option at 30 fps. In addition, the camera captures Full HD 1080p video at 60 fps. The GX85 has sensitivity settings to ISO 25,600 and excellent responsiveness thanks to its Depth from Defocus AF technology. Moreover, a 3-inch, 1.04M-dot, tilting touch-screen LCD monitor and a 2.76M-dot EVF provide excellent viewing options. 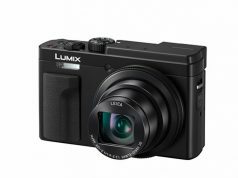 Other features include: a dual image stabilization system that leverages the camera’s built-in 5-axis IS and the IS capabilities built into OIS Lumix lenses; wireless connectivity with NFC; a silent shutter mode; auto HDR and multi-exposure modes; and an ergonomic form factor. With 12–32mm f/3.5–5.6 and 45–150mm f/4.0–5.6 lenses, $599.99. This retro-styled X-mount mirrorless camera from Fujifilm delivers a full complement of advanced features and capabilities. These include an upgraded 24.2MP APS-C-format CMOS sensor. The ILC achieves a full-res burst rate of up to 6 fps and extended sensitivity settings from ISO 100 to 51,200. It records 4K UHD video at 15 fps and Full HD 1080p video at 60 fps. With impressive overall responsiveness, it has a 91-area hybrid AF system. Other key features include: a 3-inch, 1.04M-dot, touch-screen LCD monitor; a 2.36M-dot, 0.62x OLED EVF; advanced filter modes; multi-focus mode to generate images with depth of field; and film simulation, grain effect and scene recognition (SR+ auto) modes. Built-in Wi-Fi and Bluetooth connectivity enable easy image transfer. 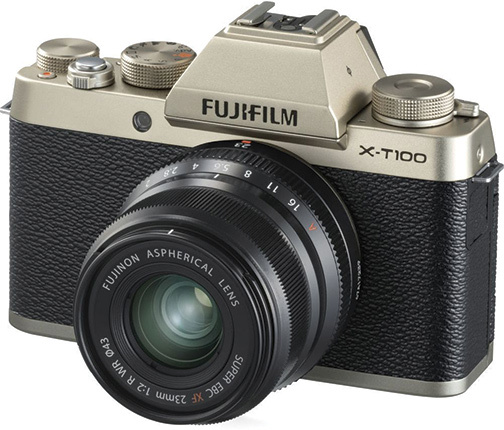 In addition, the X-T100 has a detachable grip. In black, silver or champagne gold, with XC15–45mm f/3.5–5.6 OIS PZ (two-speed Power Zoom) lens, $599. 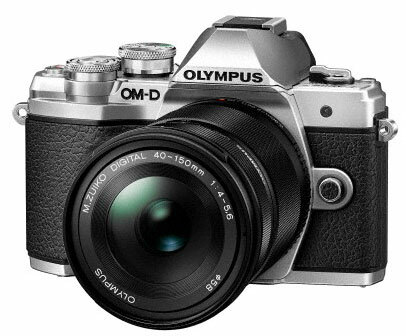 This upgraded Olympus OM-D model provides many key features of the flagship Micro Four Thirds-format OM-D E-M1 Mark II in an elegantly compact, high-value package. Designed for ILC newbies, it employs a 16.1MP Live MOS sensor that, in combination with the latest TruePic VIII processor, delivers crisp full-res images at a blistering 8.6 fps. It also provides an ISO range of 100–25,600 and an in-body 5-axis sensor-shift IS system for a 4-stop anti-shake advantage in handheld shooting. Moreover, for first-time ILC users, there are four shooting assist modes: intelligent auto mode; scene mode; advanced photo mode; and art filter mode. The E-M10 Mark III also captures 4K UHD video at 30 fps and offers clips video mode. Other features include: a responsive 81-point AF system; a 2.36M-dot, 1.23x EVF with an impressive 120-fps refresh rate; a 3-inch, 1.04M-dot tilting, touch-screen LCD with touch AF; 15 art filters; built-in Wi-Fi connectivity for sharing and remote shooting; and a built-in auto flash. In black or silver, with Digital ED 14–42mm f/3.5–5.6 EZ lens, $699.99. This 24.2MP APS-C-format camera utilizes an Exmor CMOS sensor and Sony’s Bionz X processor. They offer 4K UHD video capture and a full-res RAW burst rate of 11 fps for 21 frames. The sensor combines wide-area, 425-point phase-detection AF with 169-zone contrast-detection AF to deliver precise, decisive AF in 0.05 second. In addition, the system achieves superior object identification; faster, more consistent tracking; an 8-fps burst rate in live view; 14-bit RAW file output for capturing a wider tonal range and color gamut; and ISO settings up to 51,200. The E-mount 6300 offers two viewing/reviewing options: a 2.36M-dot OLED EVF and a 3-inch, 922K-dot, tilting LCD monitor. Moreover, it records 4K UHD video at 30/25 and a cinematic 24 fps, as well as Full HD at up to 120 fps for slow-motion playback—all in XAVC S format. When using the Super 35mm 16:9 aspect ratio, recordings are captured at 20MP resolution (6,000×3,376) and output at 8MP in 4K. The α6300 also supports custom color and S-Log3 Gamma profiles, as well as Wi-Fi/NFC connectivity. With 16–50mm f/3.5–5.6 power zoom OSS lens, $899.99. This distinctive mirrorless ILC employs Sigma’s famous three-layer 29MP APS-C Foveon X3 Quattro CMOS sensor. The sensor delivers full color information at every pixel point without interpolation. Thanks to its amazing 1:1.4 RGB pixel ratio, the sd Quattro produces 19.6MP lossless compressed RAW images with superior color output and a spatial resolution equivalent to a conventional 39MP Bayer sensor. In addition, an advanced Dual True III processor enables continuous, full-res shooting at 3.6 fps for 14 frames, at sensitivities up to ISO 6,400, as well as super-fine detail mode. 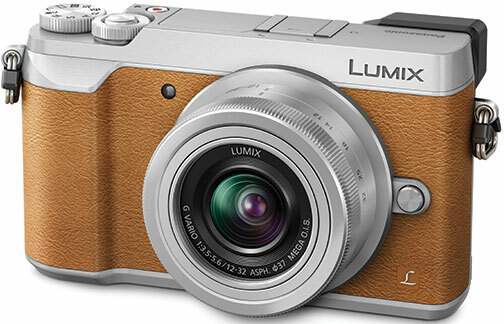 The camera also boasts a 3-inch, 1.62M-dot LCD and a 2.36M-dot, 1.10x magnification EVF. Another notable feature is its hybrid AF system that incorporates both phase-detection and contrast-detection points with up to nine selectable zones. The splashproof sd Quattro has a distinctive ergonomic shape, an intuitive, customizable control layout and a Sigma SA lens mount. When used with Sigma’s 30mm f/1.4 DC HSM Art lens (45mm equivalent), it provides very shallow depth of field for artistic effects, enhanced bokeh and an 11.8-inch close focus distance for compelling close-ups. With 30mm f/1.4 DC HSM Art lens, $899. 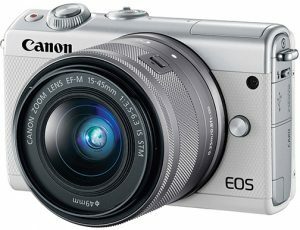 Canon’s sleek, full-featured, interchangeable-lens mirrorless camera offers impressive performance parameters but is still designed for easy operation. It has a 24.2MP APS-C CMOS sensor paired to a Digic 7 image processor. As a result, it achieves a full-res burst rate of 6.1 fps with AF lock, sensitivity settings to ISO 25,600 and Full HD 1080p video capture at up to 60 fps. Moreover, Dual Pixel CMOS AF integrates two separate photodiodes into each pixel for enhanced phase-detection AF and faster AF lock-on without hunting. In addition, its touch interface was redesigned to make it easy to change settings, adjust modes and focus with the touch of a finger. And, a creative assist function walks new ILC shooters through how certain settings affect an image. Other features include: a 3-inch, 1.04M-dot, tilting touch LCD; movie servo AF mode for smooth transitions, tracking sensitivity and AF speed adjustments; time-lapse movie mode; self-portrait mode with smooth skin adjustments; HDR backlight control; and built-in Wi-Fi/NFC/Bluetooth. In black or white, with EF-M 15–45mm f/3.5–6.3 IS STM lens optimized for enhanced video performance, $599.99.